At DRYV we hold free time to be one of the most important aspects to a balanced life. A study was done on the time Americans spend doing their chores and the average adult spends 23,214 hours on laundry during their life time. Why not try a laundry service? To date we’ve had thousands of doorman pickups around the city. We truly love hearing how we have freed up our users to spend their free time on things other than laundry. 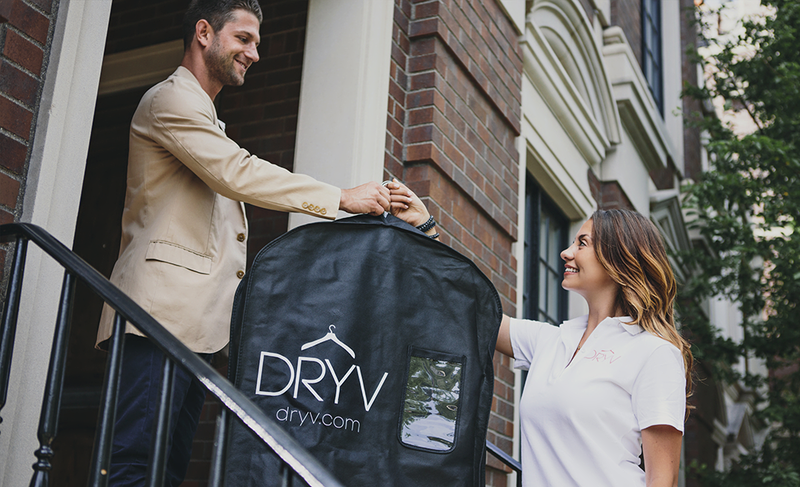 Now you can drop your clothes off with your door-staff and get back to living. Just like that you can try the future of clothing care! You never have to do your own laundry again! You can download the app here or visit our website to sign up. After this long Chicago winter it is time to get out and about. This spring is coming on fast so it’s time to start planning your spring travel destinations. Enjoy the views from Lake Michigan and soak in the Chicago Skyline. The water front has a plethora of options when it comes to sailing. We recommend Chicago Sailboat Charters. The best time to go sailing is late spring and all of summer so it’s time to plan ahead. The warm weather and colorado river will wash away your worries. Get in a nice arm workout as your cruise down the river into the heart of Austin. You will get one of the best views in the city right from the river. Make sure to check out Texas Rowing Center. Enjoy the weather, cool breeze, and awe inspiring view from the mountains in Colorado. Scale the mountain terrain and enjoy the trails, even if they ever get crowded. One of the best places to rent bikes from is Colorado Wilderness Rides and Guides. Go camping at the beautiful Bryce Canyon. Sleep in luxury tents and explore under the starlit sky. There is more to see then you could possibly take in with just a two day getaway. Go ahead and start planning your hikes and rent tents in Utah. Jenna Goudreau recently wrote a great piece about 26 time management tricks you wish you knew at the age of 20. At DRYV we hail time management to be a Major Key to Success, as DJ Khaled would say. We also pride ourselves in saving our users time every week. Time Management revolves around prioritization. Not everyone can efficiently mutlitask, in fact most people who think they are great mutlitaskers are holding themselves back. Completing one task at a time makes for a more successful day. Plan your days to do the most important tasks in the morning. Your body and mind are more efficient in the morning. By placing big meetings in the morning you won’t waste an hour of work worrying or thinking about the meeting. When planning your day it is also best to outsource and delegate the trivial tasks. If someone else can get it done and it frees you up to accomplish bigger tasks then you might as well delegate it. Tech-enabled clothes are here, have you upgraded? Wearable Tech is here. Clothes are getting smarter so why not upgrade your workout? The most badass pair of socks you will ever own. Sensoria created these with sensors woven in and a bluetooth anklet to sync with. These socks can track your steps, calories, stride, and more. Have a problem with weight distribution when running? Sensoria fitness socks will help you improve each step you take on your run. Smartest tank top on the market. It comes with a handy mobile app to sync with. Track your heart rate and breathing. This top is for the dedicated… it runs at $400 but from what we have heard… it’s worth every penny. These have12 bio-sensors in them. These sensors tell you how hard your body is truly working. This package gives you a pair of athos leggings and athos core. These leggings are made with sweat wicking material so you can stay dry. The shirt provides you with biometric data around your breath, heart rate, and balance. The bluetooth device comes in and out of the shirt without becoming uncomfortable. Compatible with most smartphones, staying on track has never been easier. This post is brought to you by our friends Zipfit Denim, check them out for the best fitting jeans in your life. As a busy professional, you probably spend a decent amount of time traveling. Jeans are one of the best pieces you can take on a trip because they’re super durable and can be worn frequently without washing for months, yes months. However, they still succumb to a stain or stench here and there and it’s pretty inconvenient when it happens while traveling. We’re going to teach you some life hacks for caring for your clothes while on the road. One of the few moments we suggest washing your jeans is when you get stains on them. On the road, a washing machine isn’t always accessible. Therefore, purchase yourself a magic wand for your clothes, such as a Tide Stick. This way, you’re only tackling the dirty spot and don’t have to worry about the jeans taking too long to dry. We’re taking it old school! We recommend this option if where you’re staying doesn’t have a washing machine and if your jeans got extremely dirty to the point that spot cleaning won’t suffice. Typically, hotels have detergent available. Put your jeans in the bath tub and proceed to scrubbing out the areas where it’s most needed with the detergent. Once you’ve rinsed the jeans, hang dry the jeans either in the bathroom or outside if your room has an outdoor area and if it isn’t too cold. Hand washing is a great alternative If you don’t need your jeans the next day since they’ll need at least 24 hours to dry. When you need to get rid of odor from your jeans, we’re huge fans of freeze cleaning! Oh, you haven’t heard? It’s simple. You simply put your jeans in a freezer overnight and pull them out. Voila! Your jeans are stench free. Typically your hotel room will have a mini fridge. If the fridge doesn’t have a freezer component, simply turn down the temperature to the coolest setting. Don’t be afraid to spritz your jeans with a bit of fresh scent from one of your favorite body sprays or cologne. Be easy on how much you spray, they could smell worse off if you overdo it. We recommend 2-4 sprays all around. Zipfit Denim is the best at getting you into the perfect fit of jeans. We asked Zipfit for a few tips on maintaining denim and they gave us everything we could ever want to know. If you want to grab yourself a pair or schedule a fitting visit their website. Stay up to date with their blog for expert tips on denim.